(or just REALLY, REALLY want one)? 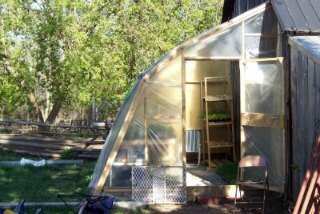 You might think it's too expensive, or too hard to own and manage your own greenhouse. The Cattle Panel Palace - my latest Bootstrap build! How to pick which of the 3 designs is right for you (or build them ALL- I did)! Step-by-step instructions to build each of the 3 designs, cheaply and efficiently. 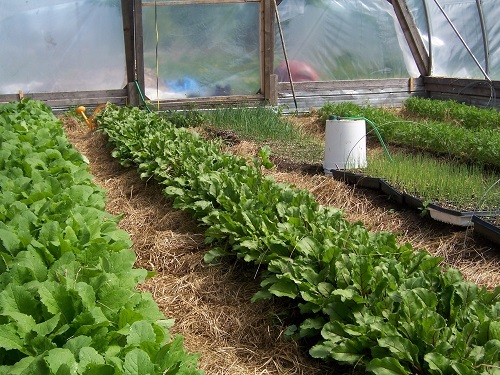 Are you serious about growing good food for yourself and your family? Or perhaps you've thought about growing for a market? Or maybe you are already a market grower, and are looking for a way to extend your season (and your income)? If any of those are true for you, you've probably thought about a greenhouse as a great addition to your 'growing enthusiasm'. That might seem overly simple, but it's true (it was for me). 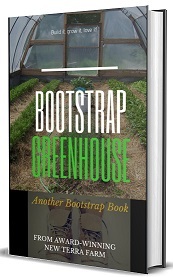 In the tradition of Bootstrap Market Gardening (the first Bootstrap book), you will discover a practical step-by-step approach to build your own greenhouse, cheaper and easier than you might think. 'Cheap' because let's face it, I am and 'easy' because a professional builder I'm not. But that's good news for you. 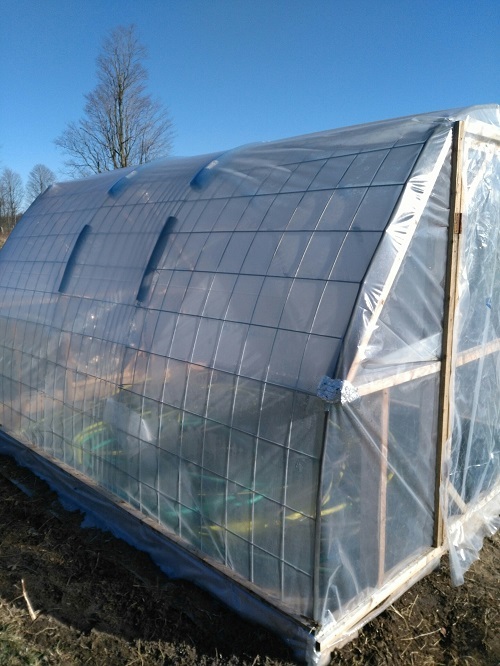 Just about anybody can follow my simple instructions to build any or all of these beautiful, practical greenhouses, at a cost of about $1 to $2.50 a square foot (depending on how good you are at sourcing materials, and I'll tell you where to look). 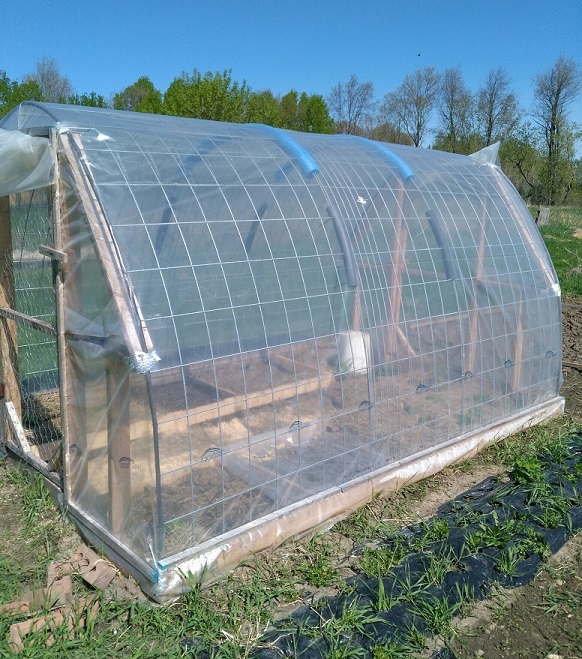 If you have a sturdy south-facing wall (it's OK to be 15-20 degrees off due south, no problem), and you want a Bootstrap Greenhouse you can build in a weekend, this might be the design for you. My Bootstrap Lean-To measures 10 feet wide by 16 feet long, and is about 11 feet high at the peak. 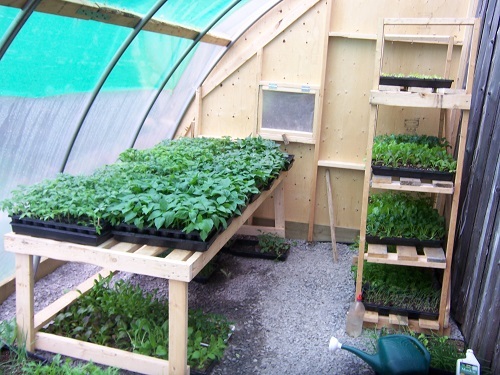 This gives you TONS of growing room using benches and shelves (or even add deep beds, like I show you on page 81). Build this beauty in a single weekend! This is the one I built next, inspired by a design by Eliot Coleman. This model gives me three time the growing space of a conventional greenhouse. It's movable yet sturdy and strong enough to stand up to a decade of brutal Canadian winters. Just look at the great food you can grow in this baby! 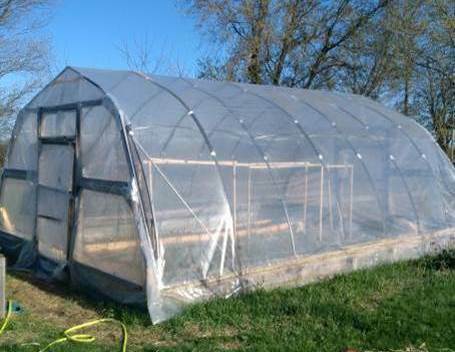 This beautiful little greenhouse can be fit into less than 100 square feet, yet can grow an abundance of fresh veggies, especially if you use grow tubes like I show you on page 89. You can build this design in a weekend, at a cost of less than $200! Three greenhouse designs for $9. I believe they call that a bargain! 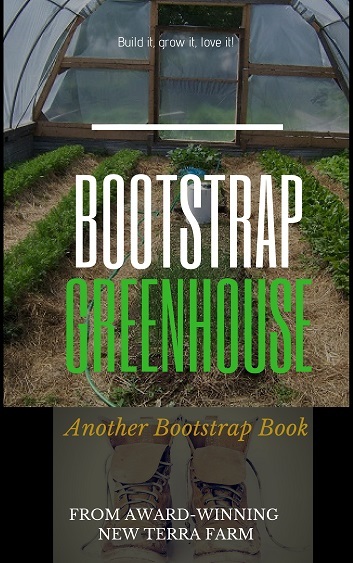 Get immediate access to my Bootstrap Greenhouse designs and start building right away. For nine bucks! Bonus 1: the Resource Report. 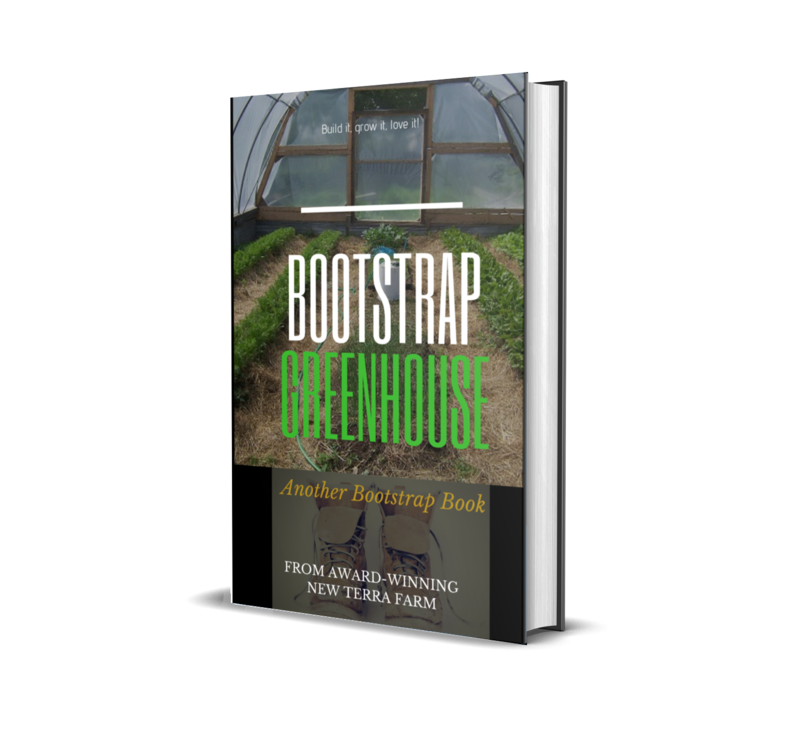 This bonus gives you a quick point of reference to all of the resources mentioned throughout the Bootstrap Greenhouse book. Bonus 2: the Planting Plan. This is the plan I follow to keep the harvest coming throughout an extended growing season. p.s. I'm committed to helping 'grow more growers' because I think that, sooner or later, communities and families will need a LOT more people producing food (you can read more about that on page 15 of Bootstrap Greenhouse). You can benefit from the practical knowledge that we've picked up over the last couple decades here at New Terra Farm (and get a great deal besides)! Click on 'Add to Cart' to get immediate access.